One of my readers (Onebir) brought Poray M3 mini Router to my attention a few days ago, as it just cost $17 at the time (now over $20) and OpenWRT developer Squonk seems very interested about it since it features microSD and SD card slots missing in TL-WR703N. However, the device only has 16 MB memory which makes it somewhat difficult to run OpenWRT, or at least some of its features. But today, I’m not going to talk about this. Mentions of Poray M3 router came in HAME MPR-A1 OpenWRT forum thread, and I discovered a new (to me) type of low cost, small form factor device: portable Wi-Fi/3G routers. Those devices are about the size of android mini-PC and contain the chips to handle Wi-Fi, USB host (for external 3G dongle), and comes with a built-in battery so that you can use them anywhere (beach, mountain, car…), as long as there is 3G coverage. You can also use them as a battery bank for your mobile phone. HAME MPR-A1 is built around Ralink RT5350 (like Poray M3), comes with a 1,800 mAh battery, has some limited support for OpenWRT (Wi-Fi experimental support just hit github a few hours ago), and costs about $24 on DealExtreme. You can also get it for around $19 on Aliexpress. If you haven’t come across this type of device before, you may want to have a look at HAME MPR-A1 video review below (~10 minutes) to find out what it’s capable of, and have a look at the user interface. 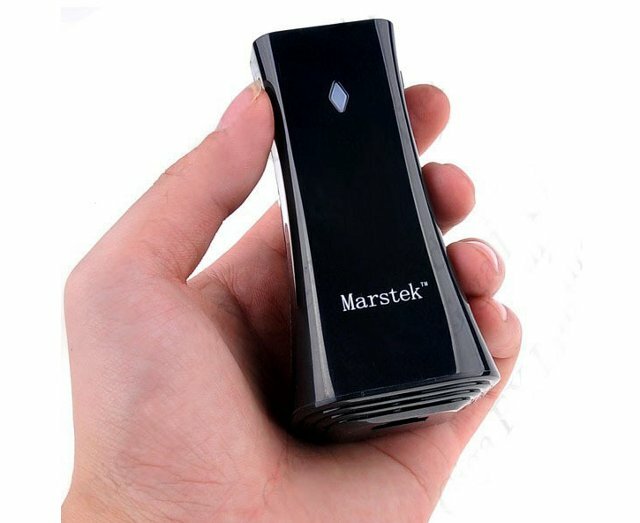 I’ve been searching for the cheapest Wi-Fi/3G router with built-in battery, and Marstek MPR-N9 router is the cheapest I could find at $13.90 on Aliexpress from a seller that has decent feedback. The package includes the router, a USB cable and a user manual. The router is said to support up to 20 users simultaneously, and can be used as an external battery for devices that can be charged via an USB OTG port. Please note that the seller indicates a 2,400 mAh battery in the title and picture, but 1,800 mAh in the description. Other sites all indicate 2,400 mAh for MPR-A9. One user has reported that many 3G dongles appear to work with this router, but Huawei E173 Evo 3G dongle does not work, although it works fine when connected with MPR-A1.